MELBOURNE, Australia — In China, the women have enjoyed all the success in tennis, winning Grand Slam titles, Olympic gold medals and reaching the top 10 in both singles and doubles. Male players, on the other hand, have lagged behind. Despite increased investment and improved resources at home, a mainland Chinese male player has never broken into the top 100 in the rankings. This could be about to change. 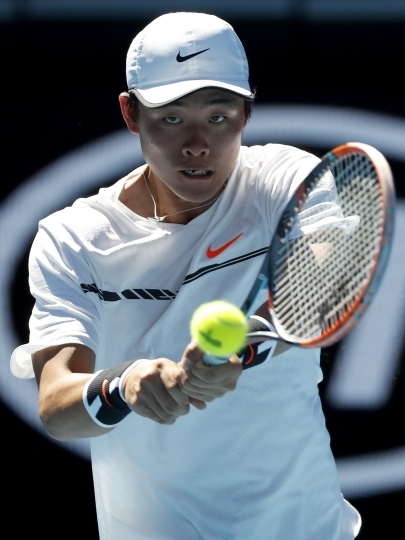 The 17-year-old Wu Yibing is gaining attention for his all-court game and quick rise up the junior rankings, giving China hope it may someday have a male star on par with the two-time major winner Li Na to help grow the sport even further in the country. Wu's star has been steadily rising in Asia, but it was his performance at the prestigious Orange Bowl tournament in Florida in December that showed how much promise he has. Wu made it all the way to the final, losing to defending champion Miomir Kecmanovic of Serbia. Wu's ranking then shot up to No. 3 and he was the top seed at the Australian Open boys' championship — his highest seeding at a junior major tournament. He lost Friday in the semifinals to Yshai Oliel of Israel 6-4, 3-6, 6-2. "I think it's tough to be top seed," he told reporters in English at a packed news conference (another first). "I think it's so many things different and I have to be more focused and more confident." Wu, who goes by the English name Jason, started playing tennis at the age of 4 in his hometown of Hangzhou, a city in eastern China. His mother, Wu Fang, said she took him to play badminton at a park, but the net was too high for him so they decided to try a nearby tennis court instead. "He was so young, all the players are older than him," his mother said. "When he played tennis, play some points, play some games, he always lost." Wu showed potential, though, so when he was 12 years old, he went to Beijing to train at the Potter's Wheel International Tennis Academy run by Carlos Rodriguez, the former coach of Li Na and Justine Henin. 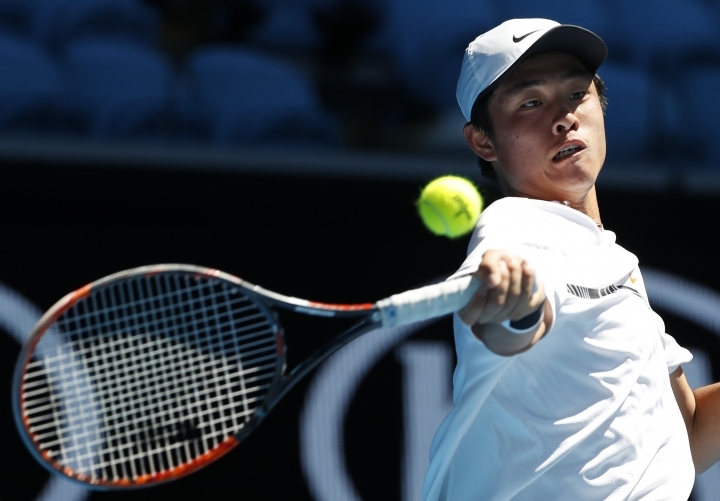 At the academy, Wu was introduced to another Spanish coach, Nahum Garcia Sanchez, who worked with him for a year before he returned to Spain to open his own tennis academy. Last year, Garcia Sanchez was hired to coach Wu full-time. "For me, the key is he's very creative in the court. He can do things you don't see in other players," Garcia Sanchez said. "In a moment, he can change a rhythm, he can do this shot that I do not expect. He's that kind of player." "He reminds me of (Gael) Monfils in a way, but more aggressive." He said there are no major gaps in Wu's game, he just needs more experience. The plan is to start playing more matches on the lower-tier Challenger and Futures circuits this year instead of junior events. He'll also play Davis Cup for China this spring. "I think he's going to adapt very well to the ATP Tour," Garcia Sanchez said. "He loves that kind of game." China is rapidly catching up when it comes to the coaching and resources to develop young tennis talent, Garcia Sanchez said. But for Wu's game, his mother decided the best move was for him to reunite with his Spanish coach and spend part of his time training in Europe. 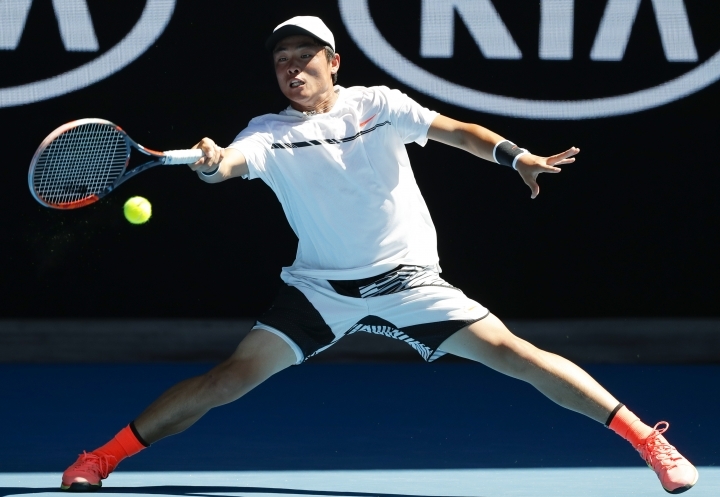 It's a strategy that has paid off for other players from Asia, most notably Kei Nishikori, who left Japan at a young age to develop his game in the U.S.
"The coaching still definitely needs to improve in the region," said former French Open winner Michael Chang, Nishikori's current coach. "Obviously, Kei's a product of U.S. coaching at a very young age. Is that always the answer? Not necessarily. Did it work for Kei? It worked quite well obviously." "I think if you look at some of the top Asian players that have done well, particularly the women, they've hired foreign coaches." Wu is learning how to play on clay in Spain, though his Spanish so far remains limited to "Hola." He's hoping he can develop a game similar to his idol, top-ranked Andy Murray. He hasn't met the three-time major winner yet, but if their paths cross, he knows what he would say. "I love you," he says with a laugh. "And how can you hit a backhand that fast?"